I am an author and independent filmmaker/stop motion animator with a BFA in Stop Motion Animation from the School of Visual Arts in New York and a PhD in Film Studies from the University of Edinburgh (Scotland, UK). My thesis focuses on silent film adaptations of late nineteenth and early twentieth century Gothic novels, with a special emphasis on psychological and aesthetic representations of the Monster figure. My debut novel, a YA Sci-Fi adventure called Digging in the Stars, is forthcoming with Blaze Publishing on March 28, 2017. Raised by an Egyptologist mother, I grew up among museums and excavation sites, where I developed an unhealthy fascination with ancient art and mythology. I divide my time between bringing 12"-tall people to life in my studio in Edinburgh, excavating ancient tombs in the Egyptian desert, and researching Gothic literary monsters in silent film. I have worked for more than 10 years as photographer and videographer for the South Asasif Conservation Project, an archaeological expedition in Egypt and I have published numerous articles on film and archaeology. I write, direct, design, and animate short films and commissioned projects in my studio in Edinburgh, Scotland and have been employed as an animator, screenwriter, modelmaker and art director for studios in Edinburgh, South Korea and Qatar. I have produced commissioned projects for IdeasTap in London, the Arts Trust Scotland and the British Library. My shorts have won competitions and screened at various international festivals including the Edinburgh Fringe. In 2015, my short film The Burglar With the Yellow Hand was nominated for an Arts and Humanities Research Council (UK) Research in Film Award. 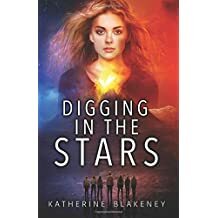 My new blog http://KatherineBlakeneyStardigger.blogspot.com is all about Digging in the Stars and my references and inspirations as a writer. I’m back with more updates on my progress through the ranks of Throrian Scent Hunters. I’m still a humble Apprentice but I’ve finally progressed past the first chamber. The Scientists’ council has decided I’ve polished enough empty vials to get my hands on some fragrance-making tools! Nothing too complicated (or delicate) yet, but I’m thrilled to be moving forward. Maybe in another hundred years or so I’ll even get to mix a couple of ingredients together. As a writer I have always had my own take on the infamous piece advice given to many aspiring writers - “write what you know.” Personally, I believe in knowing what I write instead. I may not know what it’s like to be an ancient Throrian Scientist, but I can sure find out. 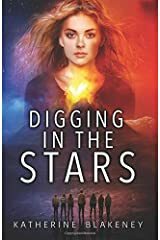 Digging in the Stars Releases Today!!! 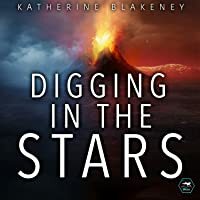 Digging in the Stars arrives in the Milky Way galaxy today! 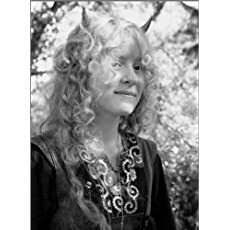 Follow the Facebook party at https://www.facebook.com/events/1392939950780908/ and chack out my brand-new author website at https://katherineblakeneyauthor.wordpress.com/ for exclusive content on the book, details of upcoming events and signings or if you'd like to contact me. I'm always happy to hear from readers! Members of the Second Stratum, the Nobility, held most of the wealth and power of Thror in their webbed hands. The Vizier was always chosen from among the Second Stratum. Their impracticably long, ornate beaks, flowing robes, and floor-length, iridescent cerata were a mark of their privileged position and life of luxury and leisure. They were all ambitious, competitive, and dreamed of occupying the throne. The third Stratum was occupied by the Military - the army of planet Thror. Their armor was designed to maintain the necessary level of moisture for long journeys on dry land, and was light and flexible enough for both running and swimming. Each of their sensitive cerata was enclosed in an individual sheath of pure Bjornium plates. Their scaly masks had short, sturdy, practical beaks. Their main weapons were poison darts and collapsible nets on long poles. The Treasurers were responsible for maintaining, calculating and increasing the wealth of the Nine Strata. They established trade relations with many other galaxies and were valued for their intellect, quick-wittedness and diplomatic abilities. One of the most famous Treasurers of ancient Thror, Vanadival, left behind extensive chronicles that are among our main sources of information about the Throrian Golden Age. The Artists worked both the metals and minerals of Thror to create sculpture, relief carving, mosaics, architecture and textile designs. They were responsible for the sophisticated beauty of the Nine Strata. They designed the masks for all Nine Strata and used their own masks to show off their skills. The cover for my upcoming Young Adult Science Fiction novel, Digging in the Stars has just been officially revealed! Blaze Publishing, Jennifer Malone Wright and I had a party on Facebook to celebrate. We will have another to mark the release at the end of March. Now that I’ve shared some of the preparations for my journey, I believe it is time to reveal more about the civilization that I am actually exploring. I am planning a series of in-depth posts about the species that inhabit Planet Thror, their appearance, their cultures, food preferences, traditional costumes, art and languages. I am very pleased to announce that the flying lizard colony clogging up my satellite dish has been safely and successfully relocated. The eggs are just beginning to hatch and watching newborn Throrian lizards learning to fly is a nerve-wracking and heart-warming experience at the same time. We are all confident they will acquire the necessary skills in the end and will shorty be attacking our field lunches with great acrobatic vigor. Firstly, I must draw your attention to the successful creation of my “About Me” page. After a few hours milling about the spaceport and volumes of advice from the locals (Throrians have an unerring and unfortunately misguided belief in their brilliance with computers) have finally led me to victory. Now you can peruse my brief but thrilling biography at your leisure!